Indian Cricket Team Captain Mahendar Singh Dhoni has said that everyone must respect decision of Master batsman Sachin Tendulkar if he not wants to play in T20 world cup. 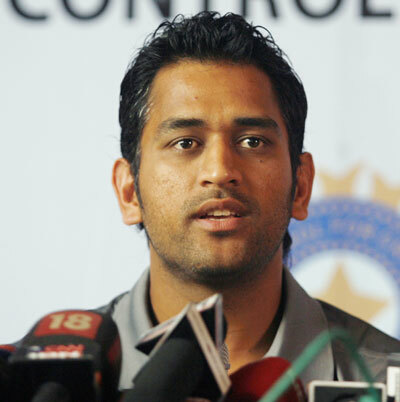 Dhoni appreciated the great batting of Sachin Tendulkar of 72 against Chennai Super Kings. on the question of Indian team squad for T20 world cup Dhoni said i cannot say anything about it.Dhoni said that Sachin Tendulkar is batting these days how he did in 1997 and 98 and young batsmen in the team are learning alot from Sachin.while talking about his IPL team Chennai Super Kings Dhoni said we will try to make a comeback after two defeats.